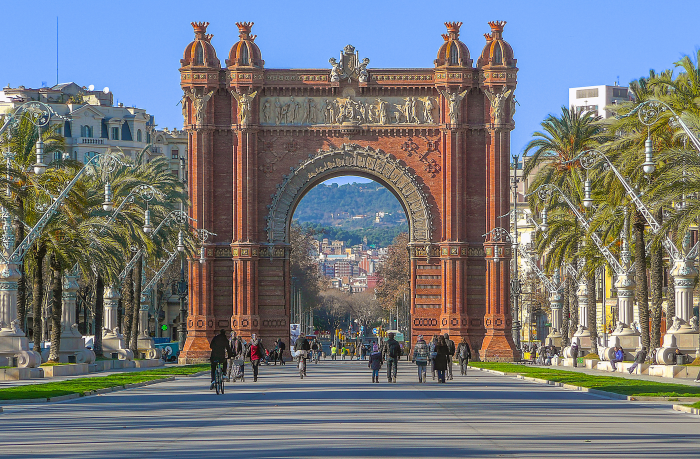 The Arc de Triomf in Barcelona was built for the Universal Exhibition in 1888 as a symbol of welcome for visitors from all over the world. It can be found on Passeig Lluis Companys, close to the Parque de la Ciutadella. 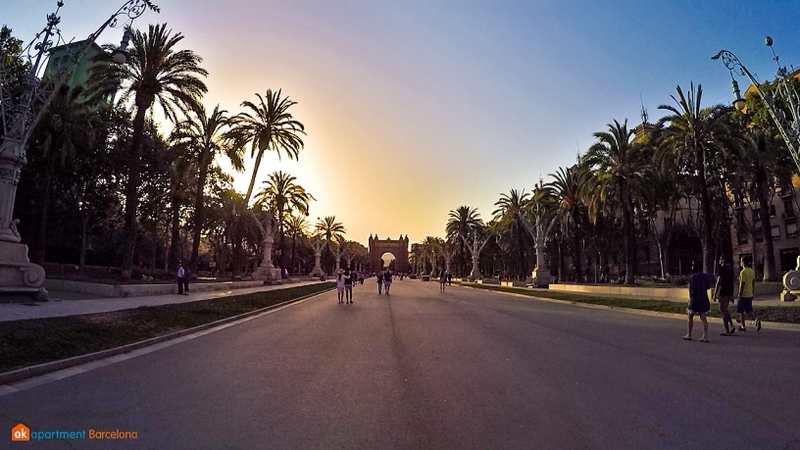 The Arch was built by Josep Vilaseca i Casanovas to serve as the main entrance to Parc de la Ciutadella, where the Universal Exhibition of 1888 was held. Built from bricks, this monument takes on the moorish style of Mudéjar in the same way that neo-gothic revived the gothic style, adding careful details and blending the monument with classical era elements. The reliefs on both sides of the structure represent agriculture, industry, commerce, and art. Above all, on the frieze, you can see the shields of the Spanish provinces. These adornments were made by various sculptors. 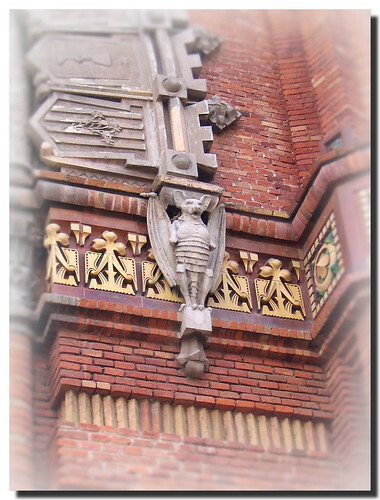 One set of sculptures stands out as a curiosity; there are two bats that represent what used to be on top of the Barcelona's coat of arms. They are no longer relevant today as the bat was eventually removed from the Barcelona coat of arms before the twentieth century, leaving some tourists baffled to their significance... No one truly knows why the bat vanished from the coat of arms. Perhaps it was to do with the symbol's association with the Crown of Aragon... We can only guess! 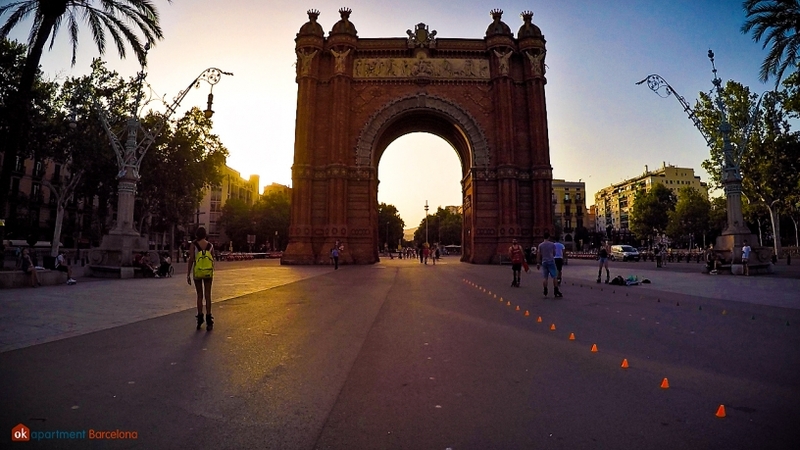 How to get there: Metro - Arc de Triomf (L1). Bus - 19, 39, 40, 41, 42, 51 and 55. Train (RENFE) - Arc de Triomf.